﻿ Why do skunks dig? Skunks are friendly and amazing animals, but they are also unusual. They have a bad reputation and this has to do with the behavior that they have of spraying whenever they feel cornered. Skunks are very quick to learn and they remember things quite well, especially when food is concerned. However, this leads to many more repeat offenses. 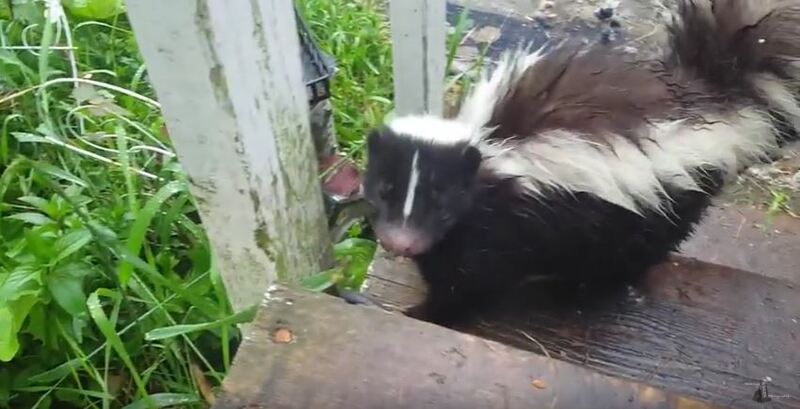 When a skunk notices that there is food in your yard, you can expect it to keep on coming back for more, and this is one of the reasons why it has been classified as being a nuisance animal. There are many signs that you can spot in your yard that will tell you that there is a skunk problem. One of the signs is that the skunks love to dig holes. They have very strong front paws and they can dig up your yard when they want to burrow to make a home for their young. The reason why you might find lots of holes in your yard is because the skunks love to dig to find grubs. The multiple holes you see could be an indication that the skunk was simply looking for something to eat in the dead of night. Skunks eat almost anything, and this includes insects and worms, most of which are found underground. They will usually work hard to catch mice, toads, snakes and other amphibians that they can find. Skunks can dig so passionately because they aim at finding some of the delicacies that they really love. Skunks spend most of the time outdoors as they forage for food, and when a spot is good, they may frequent the area over their lifetime. If there is some food underground, they will not get tired of digging for it. The reason why the problem may not go away is because the adults also train their young on the areas where they might find adequate food once they come of age. Skunk claws are adapted to digging for insects and grubs and they are pretty strong too. The skunks will usually dig some shallow holes, and this is a perfect sign that there is indeed a skunk in the vicinity. When domesticated, the skunks will usually use these claws to dig up rugs and open packages, doors and drawers, and that is why most pet owners choose to cut their nails every now and then. Skunks make their dens in tree hollows or logs that are hollowed out. They may also use brush piles and animal burrows that have been abandoned. Porches and other structures are also a perfect home for them. However, the skunks will occasionally dig their very own burrows if there is no other open option. Go back to the How to Get Rid of Skunks page or email us if you have any other questions about Why do skunks dig?